On Thanksgiving we sit around a table with family and friends, eat way too much delicious food, and think about all the blessings in our lives. It’s honestly one of my favorite holidays, because we slow down enough to truly enjoy what’s around us, to recognize all the good things in our lives. And then we wake up the next day, in a Christmas-minded frenzy that continues until December 25th. Black Friday shopping sales. Perfecting cookie recipes for that upcoming Christmas cookie exchange. Parties and shopping and gift wrapping and pinterest-worthy decorations and new recipes. Our minds and calendars are full of to-dos and expectations about how every event leading up to December 25th will unfold. This Christmas season though, I want to be a little bit more like Mary. Not so focused on my own expectations and busyness, but open to what this Christmas season is all about. We don’t know a whole lot about Mary’s thoughts and feelings, but I’m sure Mary did have expectations. I think she daydreamed about Joseph being a loving husband, of having children, and being a good wife and mother. I doubt she had huge dreams for her life, but she envisioned it with love and marriage before the baby carriage. But then, an angel shows up. This isn’t a cute little Precious Moments angel sporting a lopsided halo. When every single Biblical character who sees an angel tends to fall on their face and the angel has to tell them to “Fear not,” or “Be not afraid,” I’m pretty sure they’re a lot more terrifying than we depict them in nativities. This angel told her that she was favored. Chosen to be the mother of the Messiah, though she wasn’t married yet. And she asked one simple question before saying yes. I would have had zillions. And some “Uh, I think you have the wrong person” statements thrown in for good measure. Did I mention, I want to be more like Mary? We don’t see her striving for perfection. She simply accepted what the Lord asked of her. I wonder if when all this happened, Mary questioned if she had heard God right. I mean, how could this possibly be the Messiah, being born to a virgin teenager in a smelly stable peppered with animal poop? And I don’t know, maybe the hormonal Mary did cry at the circumstances surrounding this unexpected pregnancy and birth. Maybe she did question if she had heard God right, or if this really was the Savior of the world, why God would let him to come into the world in a stable. Or maybe she was able to yield to God’s plan and simply marvel at the Christ child sleeping in the manger. I don’t know what went on in Mary’s head or heart, but I do know that God encouraged her by what happened next in Luke 2:8-20. The shepherds came and told Mary and Joseph that they had seen angels announcing the “Savior, the Messiah, the Lord has been born.” How much awe and wonder that must have brought to this young couple, so far from home with no friends or family to celebrate with them. Verse 19 says “Mary treasured up all these things and pondered them in her heart.” Oh, how I wish I pondered and treasured the things of God in my life, like Mary. Instead, I tend to start focusing on what’s next on my to-do list, or how things aren’t going my way. How I wish I could treasure up and ponder the beauty of the Savior of the world coming into the world through the yielded body of Mary. And isn’t that what we are here on earth to do? To carry Jesus in us, and let His glory and presence out through our deeds and our words? 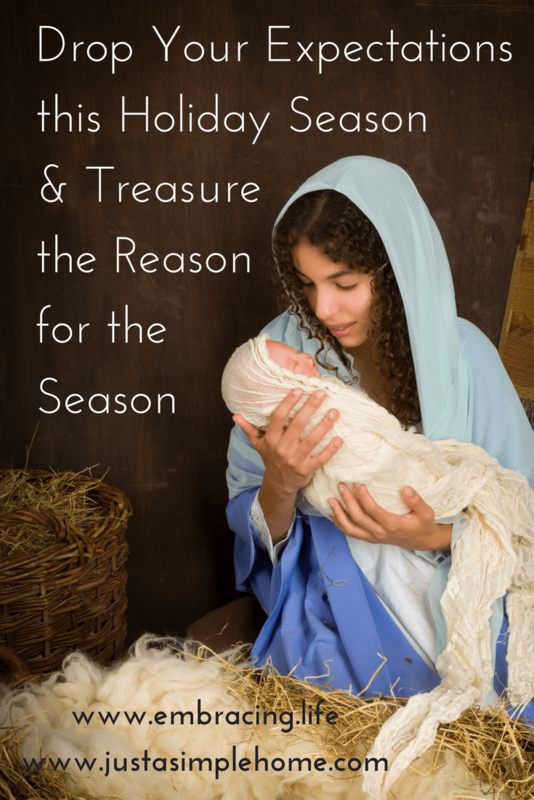 Isn’t that a treasure and something to ponder every day, not just on Christmas? So while I don’t have a checklist of how to be a little bit more like Mary, it will be my daily prayer this advent season. To not get caught up in the busyness of the holiday season, but to treasure the blessings around me. To embrace the circumstances in my life, no matter how much I want to resist them. To treasure and ponder our Savior giving up the comforts of heaven to come to earth through a teenager in a stable. And if you’re going through some tough and unexpected circumstances in your life you’re struggling with, I invite you to check out my printable five day advent devotional: Having a Mary Heart Through Life’s Unexpected Circumstances. Will you join me in letting go of our own expectations and becoming a little more like Mary this holiday season? 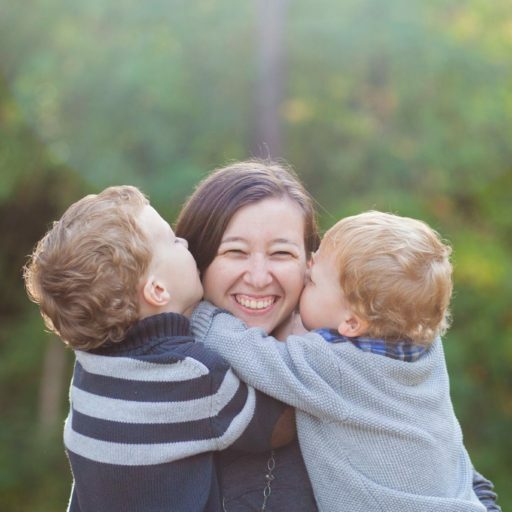 Jenn Soehnlin enjoys loving on her two little lads, hiking, relaxing with her husband, reading, writing, blogging and spending way too much time on Pinterest. She blogs at www.embracing.life. Have a peaceful and blessed Christmas Season!